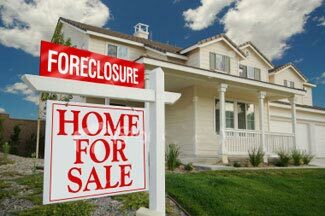 Foreclosure: When a bank lends money to purchase or refinance a house the borrower signs a Promissory Note agreeing to repay the loan. To ensure the borrower pays the loan the bank secures the debt by obtaining a mortgage (a lien on the property) from the borrower. If a borrower defaults on their mortgage payment, the bank will sue to foreclose the home. This is a legal process where the bank takes title/ownership of the property out of the borrower's name and into the bank's name.